Sometimes your storage needs can outstrip the capacity of your home or business. That’s when self-storage units come into play, holding everything from a theater troupe’s extra costumes to inherited goods to boats, trailers, extra vehicles and restaurant supplies. Even if you’ve never been inside one, you’ve certainly seen them along the side of the highway. Starting in the 1960s, self-storage facilities have been a big growth industry in the US. With sizes that can range from just a couple of containers to huge compounds, by the end of 2009 there were 58,000 facilities owned by 30,235 companies in existence. With all that choice out there, it can be tough to decide which facility is right for you. This site has some good advice on what to look for when you’re shopping for a self-storage space and helpful information on how to pack your unit. The following checklist can help you decide which one is right for you. Security is the first and most important issue. The entire facility should be securely fenced. Walk around and ask how often the facility is staffed. Don’t forget to consider the safety of the immediate area surrounding the facility. You don’t want to keep your possessions in a neighborhood where you feel uncomfortable. Ask about onsite security features such as video surveillance. An informed manager should have the answers you need. When will you be able to access your possessions? 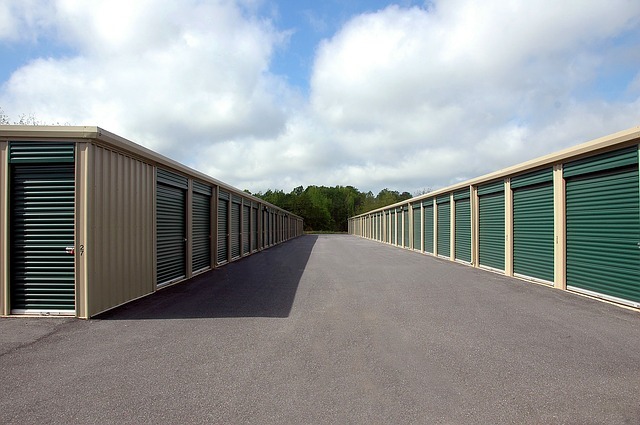 Ideally, you should be able to access your self-storage unit whenever you want to. In addition, be sure that your unit is easily accessible to your car, remembering that you’ll probably be coming and going with heavy boxes. Look for a unit with climate control options. Very high or low temperatures, as well as dampness can quickly damage appliances and furniture. Think about where the unit is situated and check to see that rising ground water from snow or rain is unable to penetrate your storage unit. Make sure the storage facility is clean and well maintained. Be sure to verify the facility has a permanent, reliable pest extermination contract in place before you trust them with your things. Check out the reputation of the storage company. Ask your neighbors and friends who they use and don’t forget to ask the storage company for references. The Self-Storage Trade Association could also be a valuable resource. Once you’ve decided on a self-storage unit, the next step is to check with your independent insurance agent to ensure that everything in your unit is just as well covered as it would be in your home or business. The Insurance Information Institute points out that standard homeowners and renters insurance policies that include off-premises protection provide coverage for property in storage facilities from theft and damage from fires, tornadoes and other disasters listed in the policy. You may also want to select a storage company that offers supplemental insurance along with their space. Find out about the facility’s emergency procedures and be sure you fully understand how the insurance they are offering will cover any potential damage. The facility should also have their own insurance to cover damages or injuries that occur within their premises.